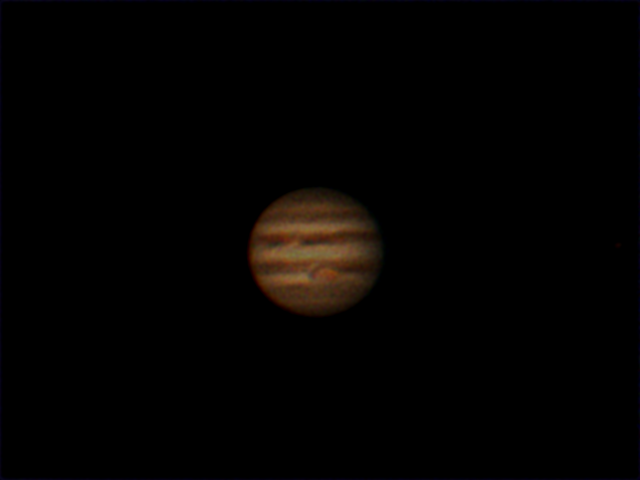 First Attempt at imaging Jupiter, this will improve! We’ve been up on the roof many times since the last update. Usually it’s pretty frustrating, I’ve become an expert in weather websites. We still don’t know what we are doing, we don’t have a very good camera yet and we still haven’t got a digital focuser. While we can see them, we certainly can’t take photos of nebulae, galaxies or anything like that yet. We also need a reducer (de-magnifier) for that, they are generally much larger than the field of our camera and our current camera is not very sensitive. So we are left with planets, but the planets are currently not really being helpful. Mars is only visible shortly after dusk close to the south west horizon – basically you are looking through lots of Lamborghini exhaust from Chelsea. Me and Edo tried to look at it. The air was so turbulent it was as if the planet was on fire. Nick at the Widescreen Centre (who is the best thing about the Widescreen Centre) says we should forget looking at anything less than 25 degrees below the horizon. Jupiter is only about 30 degrees above the horizon at 1am and I can’t stay up till 4am. 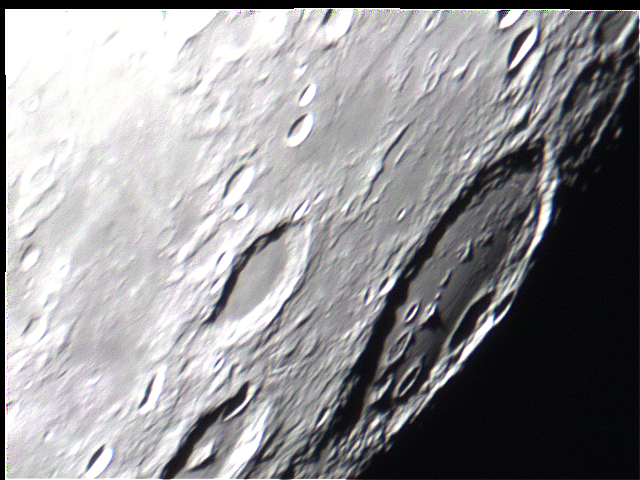 This will get better in the coming weeks and months but for now, there is our first attempt at imaging. I did it with Sunayana tonight. She was up for staying later and it would have got better too, as Jupiter is rising, but I wanted to get home. We also looked at the moon and did some picture taking, I think with better seeing we will be able to improve on this a bit, but I do wonder how good the seeing ever gets in central London. Now we’ve just got a new boiler, I’m hoping for a cold snap!